An active lifestyle can make a lot of difference in a person’s life. Men and women are taking out time for themselves and indulging into different sports and recreational activities like yoga, dance, meditation etc. It is natural for women to look their best at all times. Today, sportswear is all about comfort and style along with the durability factor. Many websites like Zaful are coming up with a wide range of sports leggings and other types of workout based attire. For those who want to upgrade their active wear attire, we have compiled a list of stylish and comfortable leggings that you can consider. Available in three colors Magenta, black and blue, the Under Armour combo comes in sizes that range from XS – XXL. This sleek, comfortable and stylish looking combo will make your workout sessions more fun. It is lightweight and perfect for women who love to add the style element in their sports leggings as well. This is a beautifully design Capri leggings that is a good choice for any type of workout. It has a slim and neat fit and comes in the medium size. The elastic waistband is soft and comfortable so that you do not feel any kind of discomfort when you are exercising. 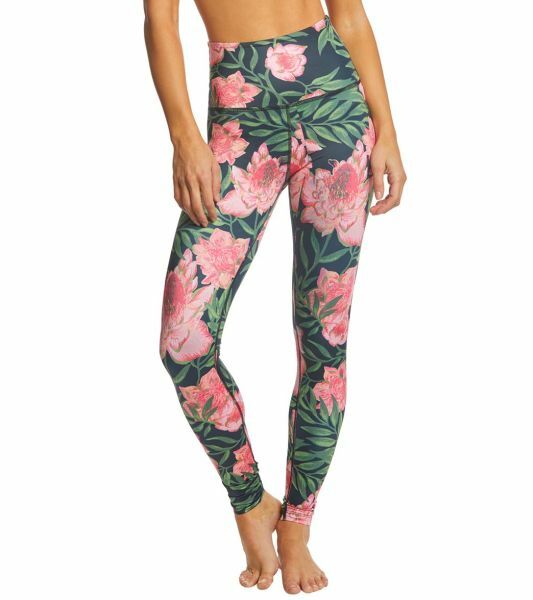 The vibrant floral prints bring in a life to the overall look of the leggings. The striking prints and color combination of this legging will have heads turn as soon as you enter your gym. You can sizes that range from Small to X-Large that is designed with the special feature for tummy control. It is made from a blend of Spandex and Polyster. This is one of those sports leggings, which you can wear during the summer time if you want to wear it on a casual note. 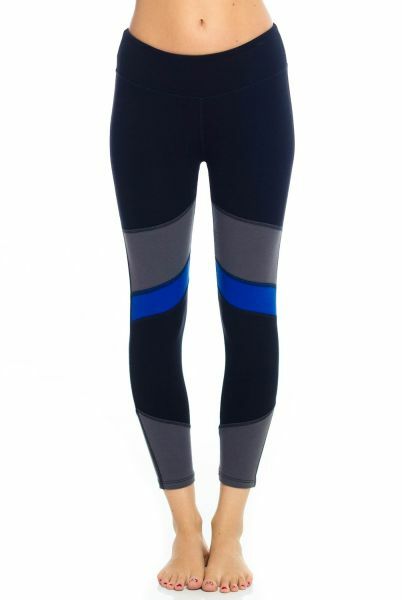 For those who are eco-conscious, try out these eco-friendly sports leggings from Pact. You can get the cropped leggings in sizes that range from X-Small to X-Large. This certified 100% organic product is designed keeping in mind the various harmful effects of chemicals. A simple black colored legging will go well with any kind of T-shirt or sports bra. This mesh panel fitness legging by Zaful is made from a mix of spandex polyester and cotton blend. The pencil style is ideal for plus size women since it helps to give their body a proper shape. The elastic waist gives you a comfortable and proper fit. It also has a mesh pocket to store your mobile phone while you exercise. Click here if you want to look out for other styles in leggings. With four different color options and sizes, these Capri leggings are another perfect option of eco-friendly sports leggings with the element of style. It is made from organic cotton and spandex and has a wide waistband for better support. The lower calf length helps to keep the leggings out of your way when you workout.